LAFAYETTE – The Louisiana Department of Transportation and Development (DOTD) hosted their annual public “Road Show” on Thursday, October 18. Joint Transportation, Highways, & Public Works Committee members discussed and received public feedback on current state highway construction priorities. I-49 South Coalition Chairman David Mann thanked DOTD and the Legislature for continued progress on the I-49 South corridor, and stressed the importance of bringing the remaining portions of U.S. 90 up to interstate standards. BATON ROUGE – Completing I-49 South is Acadiana’s top infrastructure priority, and the I-49 South Coalition continues to advocate for this game-changing investment for Louisiana. Governor John Bel Edwards echoed his support for this priority by proclaiming May 15, 2018 to be I-49 South Day in the State of Louisiana. 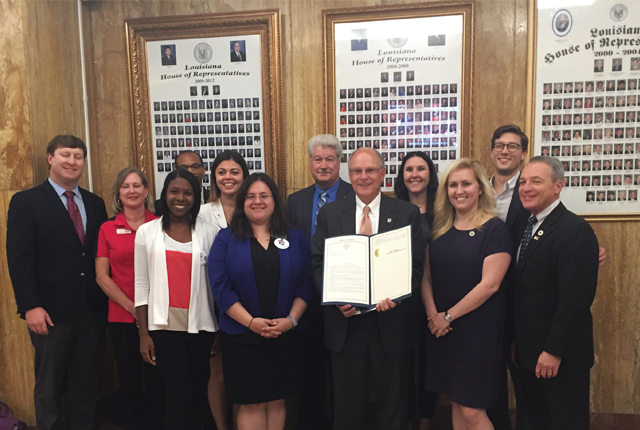 As part of National Infrastructure Week, the I-49 South Coalition organized I-49 South Day to recognize and encourage leadership at all levels of government to address Louisiana’s pressing infrastructure investment needs, including the completion of I-49 South. The I-49 South Coalition met with representatives of Louisiana DOTD and the Treasurer’s Office to discuss progress being made along the corridor. The group also shared information with state legislators about the substantial benefits of bringing U.S. 90 up to interstate standards, such as improving safety and commerce, providing traffic congestion relief and evacuation capacity, and stimulating economic development opportunities. More than 100 of the planned 160 miles of I-49 South are complete or currently under construction. 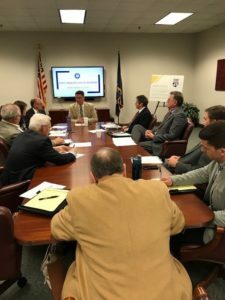 Coalition members highlighted the findings of a recent economic impact analysis, which assesses the benefits of completing the I-49 Lafayette Connector and the extension of I-49 South from Lafayette to New Orleans. The study finds that completing the I-49 Lafayette Connector – a 5.5-mile extension of I-49 from I-10 to just south of the Lafayette Regional Airport – demonstrates robust short-term and long-term impacts on jobs and economic growth. Completing both the Lafayette Connector and other segments of I-49 South – to connect with I-310 southwest of New Orleans – would yield even stronger impacts and growth. Infrastructure Week is a national advocacy and educational event taking place from May 14-18, 2018. Across the country, businesses, labor organizations, elected officials, and more have joined together to encourage citizens and policymakers to continue investing in infrastructure and transportation at the federal, state, and local level. The I-49 South Coalition unifies and builds upon decades of continued efforts to make I-49 South a reality through public awareness, advocacy, education, policy, and seizing the opportunity for federal and state funding. For more information, contact David Mann at 337-278-0237 or info@i49south.com. 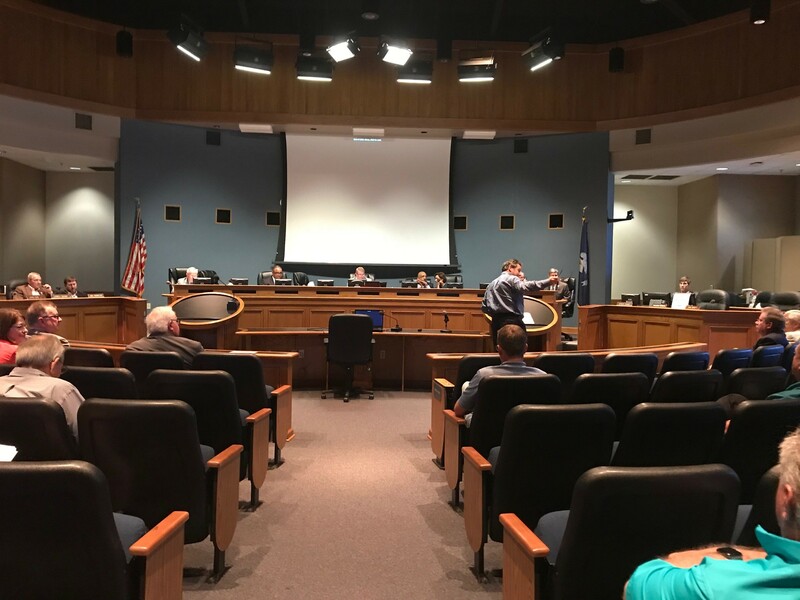 “The Interstate 49 Lafayette Connector executive committee agreed Friday to advance four options for more detailed evaluation. The committee considered feedback from technical and community meetings and discussed new alternatives, including moving the southbound exit ramp from Willow Street closer to downtown and whether the existing Evangeline Thruway should be reborn as a grand boulevard or a one-way “couplet” like it is today. The Louisiana Department of Transportation and Development (DOTD) hosted their annual public “Road Show” on Thursday, October 5. Joint Transportation, Highways, & Public Works Committee members reviewed and discussed highway construction priorities. BATON ROUGE – Completing I-49 South is Acadiana’s top priority, and the I-49 South Coalition continues to advocate for this game-changing investment for Louisiana. 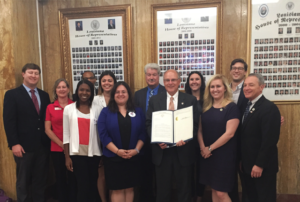 The Louisiana State Legislature echoed its support for this priority by proclaiming May 15, 2017 to be I-49 South Day at the State Capitol. 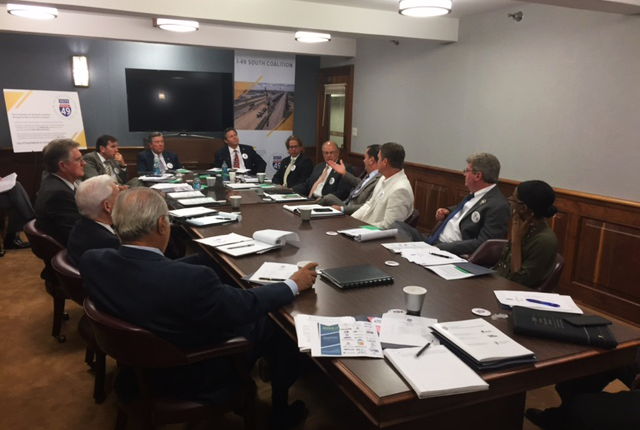 The I-49 South Coalition met with Louisiana DOTD representatives to discuss progress being made along the corridor. The group shared information with State legislators about the substantial benefits of bringing U.S. 90 up to interstate standards, such as improving safety and commerce, providing traffic congestion relief and evacuation capacity, and stimulating economic development opportunities. More than 100 of the planned 160 miles of I-49 South are complete or currently under construction. Coalition members also highlighted the findings of a recent economic impact analysis, commissioned by the Community Foundation of Acadiana (CFA), that assesses the benefits of completing the I-49 Lafayette Connector and the extension of I-49 South from Lafayette to New Orleans. The study finds that completing the I-49 Lafayette Connector – a 5.5-mile extension of I-49 from I-10 to just south of the Lafayette Regional Airport – demonstrates robust short-term and long-term impacts on jobs and economic growth. Completing both the Lafayette Connector and other segments of I-49 South – to connect with I-310 southwest of New Orleans – would yield even stronger impacts and growth. The study received cooperative support from a number of partners, including the I-49 South Coalition. Infrastructure Week is a national advocacy and educational event taking place from May 15-19, 2017. Across the country, businesses, labor organizations, elected officials, and more have joined together to encourage citizens and policymakers to continue investing in infrastructure and transportation at the federal, state, and local level. Very few issues have as much bipartisan support today as infrastructure investment. Roads, rails, bridges, ports, airports, pipelines, broadband, and the power-grid represent essential components of our nation’s economic livelihood. Yet, communities nationwide can struggle to make key infrastructure projects a reality. In South Louisiana, business and community leaders and public officials are working hard to finally bring to fruition a highway project with the potential to stimulate tremendous economic growth and business investment: I-49 South. With 100 of 160 miles of the project already complete or under construction, we are closer than ever to realizing the potential of I-49 South, known as “America’s Energy Corridor.” Completing I-49 South will provide a game-changing investment for Louisiana with substantial benefits in the following areas: economic development, safety, evacuation, and traffic congestion relief. To produce a clearer view of the benefits South Louisiana stands to gain, community partners in the Acadiana region recently commissioned an economic impact analysis of completing I-49 South. 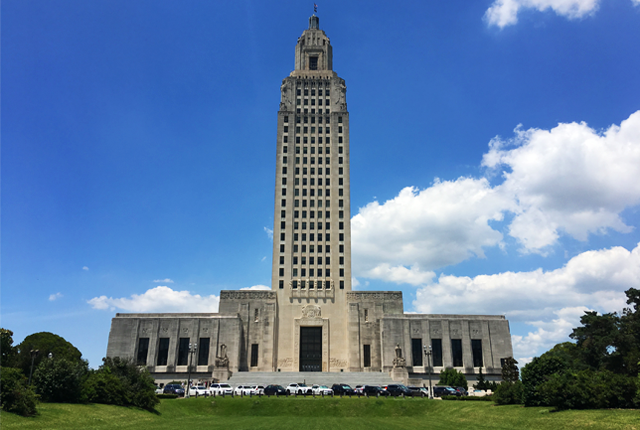 The study revealed significant economic gains for Louisiana, including a $9.7 billion increase in Louisiana’s GDP over a 21-year period following the project’s construction, and the creation of 6,000 jobs statewide by 2044. This project doesn’t just benefit Louisiana – I-49 will provide connectivity from New Orleans all the way to Winnipeg, Canada, opening the door for economic development opportunities nationally and internationally. I-49 South – and its associated benefits – can’t be realized, however, if Louisiana fails to sufficiently address our transportation funding needs. Enormous project backlogs have built up as we’ve failed to adequately invest in our infrastructure – a problem not unique to Louisiana. According to a recent study by TRIP, Louisiana’s roadway conditions cost the average driver nearly $2,500 per year in some areas. To make matters worse, by 2019, without an increase in funding, Louisiana will fail to produce enough federal match dollars for transportation projects, leaving millions on the table for other states. This will make completing critical transportation projects in Louisiana, like I-49 South, all the more difficult. That’s why the I-49 South Coalition has teamed up more than 250 organizations nationwide to participate in Infrastructure Week 2017. We are amplifying Infrastructure Week’s call to action, #TimeToBuild, by traveling to the Louisiana State Capitol on May 15 to attend legislative hearings and speak directly with legislators about the dire need for investing in our state’s transportation infrastructure network. We know that without modernizing our state’s infrastructure, Louisiana will struggle to compete economically. It’s #TimeToBuild in Louisiana, and it’s #TimeToBuild I-49 South. Community Foundation of Acadiana contracted two firms to spearhead a study to show I-49 south’s impact from 2016 to 2044. They found the Lafayette connector could save drivers an estimated 5 and a half million hours on the road. “You can connect between different areas of the state quicker and in shorter times and in a safer manner and with less damage to your vehicle.” said Eric McClellan of CDM Smith. It could also generate more than six thousand jobs statewide. “As the public debates the planning and design of the Lafayette Connector, there was a need for a rigorous, credible, unbiased economic analysis, which demonstrates the economic benefits that would result from completing this critical project,” said Kam Movassaghi, CFA Chairman and former Louisiana transportation secretary. 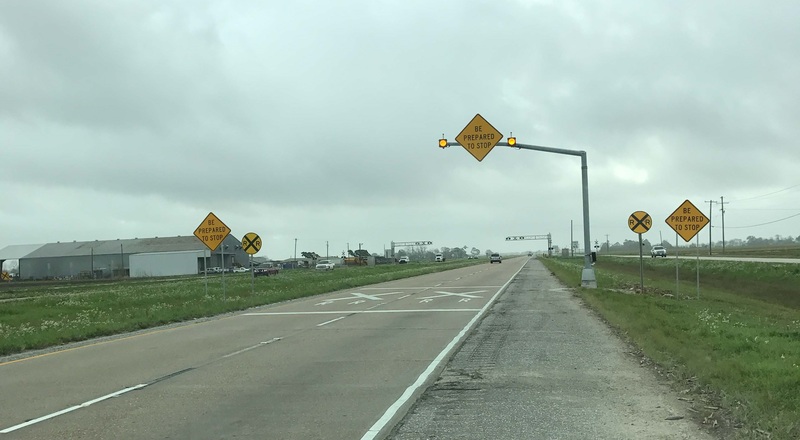 The Louisiana Department of Transportation and Development (DOTD) is implementing enhanced safety measures at the U.S. 90 railroad crossing near LA 85 in Iberia Parish. Changes involve installing advanced signage and flashing beacons to better alert travelers of the upcoming rail crossing. 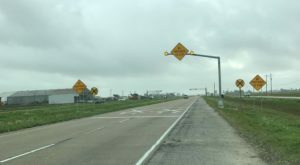 DOTD indicated concerns from the community about accidents on this portion of the roadway, and noted they are considering long-term solutions to increase safety in the area, including replacing the rail connection with a pipeline as part of the I-49 South project. The I-49 South Coalition commends board member Rusty Guilbeau for his role in working with local and state officials to secure these necessary improvements.